There are approximately 90 species of scorpions and live in subtropical and tropical regions around the world. More facts about scorpions. Anatomy, Feeding, Habitat, Reproduction, and Predators of Scorpions. Defense tactics and ways to capture their prey. There are about 1,500 scorpion species out there being deadly to humans only 25 of those species. 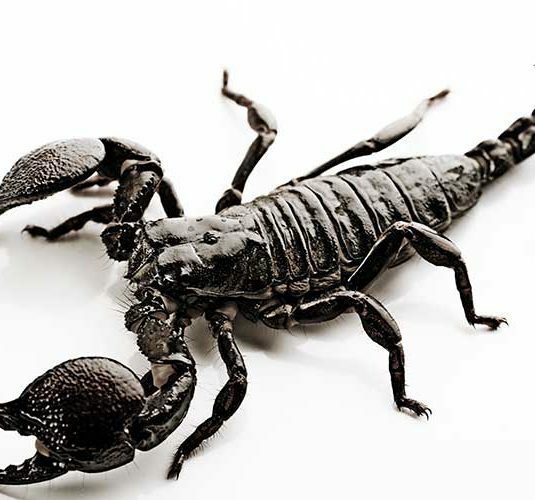 Facts about the Deathstalker, the Arizona Bark Scorpion, the Fattail Scorpion and the Emperor Scorpion. While the relation between scorpions and humans probably started with stings and even death, Humans have encountered ways to use scorpion venom and some people even keep them as pets. Scorpion Facts and Information. Feeding, habitat, distribution, reproduction, anatomy, venom research and more. Facts about the Arizona Bark Scorpion, the Deathstalker Scorpion, the Emperor Scorpion, the Fattail Scorpion. 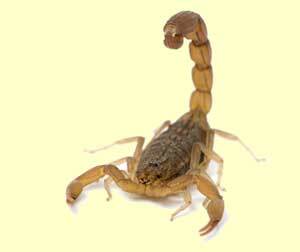 Scorpions are creatures that belong to the class of arachnids, the subclass Dromopoda, and the order Scorpiones. In the world, there are between 1,700 and 2,000 species of scorpions organized in 13 taxonomic families. Although there is a large number of species, only a minimum amount, approximately 35, are lethal to humans, particularly for people with health conditions, kids or seniors. For some people, there is confusion about the official name assigned to these species. In several regions of Latin America, people refer to them as ‘alacranes,’ coming from the Arabic “al-ágrab” and in other places they are ‘scorpions,’ from the Latin “scorpio, omis,” but both denominations are correct and refer to the same animal. There are approximately 2,000 species of scorpions, according to raw estimations. Mothers can attack and eat their young when no other food is available. According to scientists, these creatures have existed on Earth for more than 400 million years, but their evolutionary records still have many questions that need an answer. Their ancient history is a mystery, but some think that they come from aquatic animals slowly adapted to terrestrial life. These arachnids, which sometimes are wrongly called insects, are characterized mainly by having two large and powerful pedipalps in the form of pincers and a long and structured tail with a stinger which they use to inject their venom. In addition to that, they have eight legs, chelicerae, exoskeleton and sensory hairs that adequately help them to survive in their hostile natural environment. The sizes, colors, and shapes of the scorpion anatomy are so diverse that are difficult to generalize. They have red, yellow or black colors, and sizes so different that they range from less than 0.6 inches to 7.8 inches. However, their size and color do not tell us much about their danger or the level of toxicity of the poison they produce. Some believe that the large and black species are the most deadly, but curiously the small red or yellow are the ones that often cause the greatest health problems in humans. The Indian red scorpion (Hottentotta tamulus), the Arizona bark scorpion (Centruroides sculpturatus) or the Deathstalker (Leiurus quinquestriatus), are examples of scorpions that you should avoid. Scorpions can adapt to a wide range of habitats from rainforests to arid terrains in places such as North America, Africa, and Asia, especially in India and the Middle East. They like to stay in dens, caves, trees and any place that provides them darkness and protection; they prefer to go unnoticed instead of drawing attention, thus avoiding predators and also have greater success in feeding. The scorpions do not go looking for their prey or pursue them for several minutes at full speed; they just wait. With the help of their sensory hairs located in the legs, they can perceive the vibrations of small animals that are part of their diet, and then they hasten to hide or camouflage expecting that the victim approaches close enough to attack it. They feed on several animals ranging from insects to small mice, and even other scorpions. Cannibalism is frequent among them and is known as a form of predation. Other animals that join the list of predators of scorpions are tarantulas, hornbills, and shrews, to name a few. For them, the scorpion venom is not a problem. The poison of some scorpions can be so dangerous that can send a person to the hospital, but it also can help to save human lives. Heart disease treatments have gotten some improvements and results. Some people think that the cure for everything is already in nature. Let’s put on hold the bad reputation of the scorpions and let’s imagine that someday the science discovers that the poison created by these arachnids has the definitive cure for cancer or other incurable diseases, and then we realize that we destroyed millions of these animals just because they are considered malignant, dangerous and repugnant. Without being fatalistic, this could happen, and that is when we will begin, hopefully not too late, to understand their value. Scorpions are animals that suffer uncontrolled human predation. They are sold in markets as pets, without making any considerations. We destroy their habitat, hunt them as food and cook them alive. Humans do not possess poison, claws or fangs, but we are certainly the most dangerous predators of any other creature in the world.